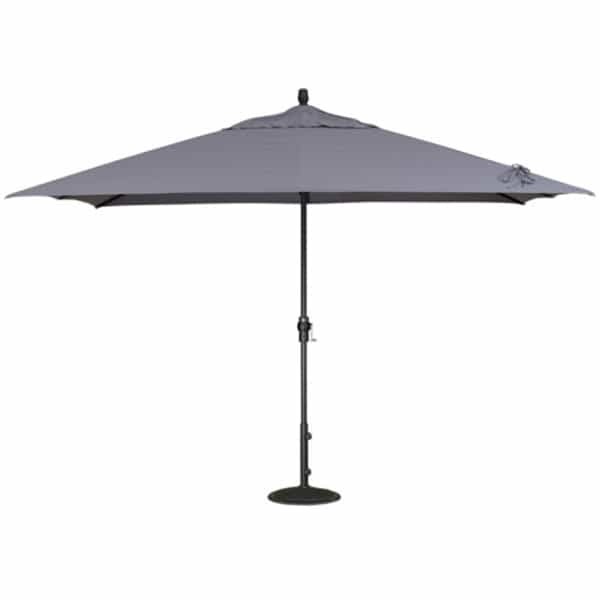 The perfect option if you desire a sunshade for a rectangular outdoor dining table, this beautiful umbrella from Treasure Garden features a rare and exceptional shape that is also large with 88 square feet of shaded coverage. The crank lift is simple and easy to operate, providing a stress-free experience when guests or inclement weather suddenly arrives. 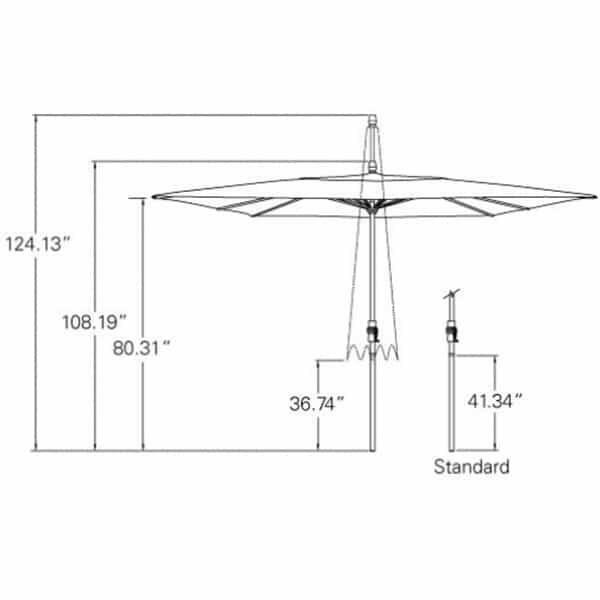 Square Feet 88 Sq. Ft.